Experience shows that young people respond well to staff members who have had – and still maintain – success in their professional fields. They can actually do what they are teaching you to do! That’s why the MGA motto has always been ‘Training for the profession, from the profession’. World-class tutors drawn from across the UK, Europe and the US with exceptional careers and incredible teaching skills work alongside our experienced managerial and administrative staff to deliver our courses, preparing the next generation of professional performer. We also have an enviable list of consultants and guest lecturers who are on hand to offer advice and support for projects and performances, maintaining strong links to the professional world of performing arts. Click on the staff member listed under the faculties below to find out more about them. Director, having trained at The Royal Academy of Music, London, The Birmingham School of Acting and the College of Visual and Performing Arts in the USA. He has maintained a career in Performing Arts for over the last 14 years since graduating in 2003. In 2005 he co-founded The MGA Academy of Performing Arts including MGA Management and MGA Casting with Murray Grant and remains MGA’s Managing Director. As Managing Director and Producer for Beyond Broadway Productions Ltd, Andrew has, over the last 12 months, had the pleasure to work with Kerry Ellis, Adam Garcia, Christina Bianco, Ruthie Henshall, Natalie Weiss, Louise Dearman, Shoshana Bean, Scott Alan, Scott Morgan and Jonathan Reid Gealt and Jon Lee. Finally, Drew is also a serving member of Her Majesty’s Armed Forces as a fully-qualified Royal Air Force Reservist. Graduating in 2001 from Bird College, London Murray Grant immediately won a contract to tour the USA. Murray has performed as a dancer all over the world, most notably Los Angeles, New York, San Francisco, Auckland, Chicago, Sydney and Vienna. Murray has performed in Musical theatre shows such as The Merry Widow, Elisabeth, Grease, Jesus Christ Superstar, Saturday Night Fever and many more. In addition to a lengthy performance career, Murray’s directorial and choreographic credits include: touring China and Europe with Musical Starlights, European tour of Best of Musicals, Twelve International Tenors tours of Europe and China, Moulin Rouge (German TV Production), The Phantom of the Opera and Carnaby Street Capers for P&O World Cruises, Macphersons Rant (World Premiere, Scotland), Union Square Opening Ceremony (Scotland). Murray is one of the co-founders of The MGA Academy of Performing Arts in Edinburgh offering 3 year full-time vocational degree courses in Dance, Acting and Musical. Marcella trained at the Royal Scottish Academy of Music and Drama on the BA Music course and at the Royal Academy of Music, London on the post-graduate musical theatre course where she received the Ian Fleming Musical Theatre Award and the Musicians Benevolent Fund Award. Theatre Works: A Little Night Music (Jack Lyons Theatre), Evita (Zouk Amphitheatre, Beirut), Richard Rogers Centenary Celebrations (with the Royal Scottish National Orchestra, Glasgow Royal Concert Hall), Les Dialogues Des Carmelites (Edinburgh Festival Theatre), Manon (New Athenaeum). Marcella has also worked as a backing singer for Elton John, performing at Birmingham NEC, The Royal Albert Hall, The Royal Opera House and Wembley, and appearing on BBC 1. Other works include session singing and New Music Theatre Writers workshop. Marcella’s teaching experience includes; Musical Supervisor for Montage Theatre Arts, London. Vocal Coaching for Forth Children’s Theatre and Musical Director for Edinburgh council’s Musical Theatre Summer School. Laura began her dance training at the Rebecca Walker Dance School in Edinburgh. At the age of 15 she gained a scholarship with the British Ballet Organisation (BBO) in London, training with teachers from the BBO, The Royal Ballet and Art’s Educational schools. She began her full time training in 1994 at the Theatre School of Dance and Drama in Edinburgh, where she graduated with teaching certificates from the Royal Academy of Dance (RTS) and the Imperial Society of Teachers of Dancing (AISTD). Through her training, Laura has gone on to achieve a first class BA(Hons) Degree in Dance, and is a fully qualified Teacher in Further Education (TQFE).  She has been involved in promoting the development of dance in education in Scotland through her work as a Dance specialist and qualification assessor for the Scottish Qualifications Association (SQA). In 1997 Laura took up a full time position at Edinburgh’s Telford College as a Course Team Leader for HND Professional Stage Dance, and later progressed to the position of Programme Team Leader for Dance, overseeing the NC, HND and degree dance programmes. She has choreographed for venues such as the Edinburgh Kings and Festival Theatres, and Edinburgh’s Hogmanay Festival. She has worked as a visiting choreographer for The Liverpool Institute of Performing Arts, The University of Arizona, and Disney Performing Arts. For over a decade Rebecca Wallace performed internationally with various musical theatre shows such as ‘Guys and Dolls’, ‘Broadway!’, Qdos Pantomimes and on Costa and Cunard Cruise Lines. She was Dance Captain and Company Manager for several international dance tours including ‘Spirit of the Dance’ and ‘Dancing Queen’. And although her performance career predominantly kept her in theatre she also had the opportunity to perform in music videos and television programmes. She continues to choreograph internationally having created the dance element of musical theatre and cabaret shows in Dubai, UAE and across Europe. After retiring from performing full time Rebecca now delivers classes in 9 styles of dance to an extensive range of abilities in both mainstream and private sectors including inclusive classes for adults to holistically support their physical, emotional and intellectual wellbeing. Having completed her MSc Dance Science and Education with an additional teaching diploma at Edinburgh University her experience includes educational leadership, curriculum design, research, pedagogy and initial teacher training. Louise has a Diploma in Professional Stage Dance and the ISTD Diploma in Dance Education. Studying in Edinburgh and furthering her training in London she was fortunate enough to gain a vast amount of performing experience before joining Costa Cruise Lines. Here Louise travelled the globe dancing in a number of Musical Theatre Shows in the position of Production Manager and Dance Captain. Other credits include: ‘A Mid Summers Night Dream’ – American Ballet Company, Nutcracker – Ballet West, UK Tour Bags Of Rock, UK Tour Smirnoff Vodka Promotion, Model/Dancer Hatwalk, Louise was recently invited to dance at Stirling’s Fashion Designer of the Year and has performed in an immense amount of Cabaret Shows, Events and Flashmobs throughout the UK. James graduated from Mountview Academy Of Theatre Arts with an honours degree in Musical Theatre. As a performer, James has performed in Musicals such as ‘Footloose’, ‘Steel Pier’, ‘Children Of Eden’, ‘The Life’ and ‘Sunday In The Park With George’. James was also a featured Vocalist on board Cunard’s Queen Mary 2. For the past eight years, James has been performing with Fiona Kennedy in a new Scottish Musical ‘The Kist’, where the show has taken him on tour around the UK and over to New York and also allowed him to share the stage and work with Alan Cummings. As a Musical Director, James worked on shows such as ‘Godspell’, ‘Boogie Nights’, ‘Footloose’, ‘Grease’, ‘Bare’, ‘Sunshine On Leith’ and ‘Elegies for Angels Punks and Raging Queens. As a Choreographer, James has worked on the Scottish premieres of ‘Bonnie & Clyde’ and ‘Soho Cinders’, as well as ‘Children Of Eden’, ‘American Idiot’, ‘Rock Of Ages’ and ‘Aida’. James is very excited to have joined the team at The MGA Academy Of Performing Arts as Course Coordinator for Foundation Courses. Sup Dhanasunthorn is from San Francisco and trained at the American Musical and Dramatic Academy in New York City. He moved to London after appearing in Miss Saigon, Thoroughly Modern Millie and Saturday Night Live. After touring Canada, the US and China with The Spirit of Christmas, Sup returned to London to launch his contemporary dance company, Embody. Other credits include Universal’s 47 Ronin, Olly Murs, Aida at the Royal Albert Hall, Strictly Come Dancing and the UK and European tour of Disney’s The Lion King. Choreography credits include: the opening of the Aquatics Centre for the 2012 London Olympics, Trophy Wife, Oxford College Ball, Phish Leong, and the UK and European tour of The Lion King. Sup is the founder of the Hustle, the largest community of performing artists and creators in the UK. Currently a member of the new Equity Dance Committee, and a recent recipient of the Dance London’s Change Maker Award, Sup feels privileged to be part of the dance faculty at The MGA Academy of Performing Arts, fulfilling his dream to enrich the future talents of dance. Trained at Edinburgh’s Telford college (now PASS), where she completed an HND in Professional Stage Dance, as well as by hip hop and house dance pioneers in New York, Paris and Holland, Ashley has nearly a decade of experience in both performing and teaching. Ashley is a popular teacher in the community, teaching many classes each week to adults and children under her brand, House of Jack, as well as in studios, dance colleges and schools around Edinburgh. She also organises regular workshops by international and local dancers. She has a love of hip hop culture, imparting its history and foundations to her students. Ashley has a passion for outreach and is very active in projects working with youth and community groups, and is keen to engage and involve young people. Ashley has a strong interest in hip hop theatre, founding company Jackin’ the Box in 2010 and youth company the MiniJackers in 2014. In her theatre works, she often explores the dark or difficult elements of the human psyche, including sociopathy, social anxiety, OCD, insomnia, and effects of modern technology on young people, producing thought-provoking and gripping pieces. She also produces upbeat pieces for events, showcases and club nights. She was recently shortlisted for the 2017 Creative Edinburgh Independent Award, for her creative choreography and valuable work with young people. Ashley was the only female to be picked as one of five choreographers to take part in Breakin’ Convention’s inaugural ‘Back to the Lab’ project in 2012, travelling to London to be mentored by Jasmin Vardimon and Jonzi D to choreograph a piece shown at renowned venue Sadler’s Wells. Her youth companies also regularly perform at prominent events, including Breakin’ Convention (2017), Breakin’ Rules (2018, 2017, 2015), the Audacious Women Festival (2017), the Scottish Mental Health Arts and Film Festival (2016), and the Edinburgh Fringe Festival (2018, 2015). Graduating from Bush Davies in 1987, Jill Rennie’s performing career spans over nearly two decades and has taken her all over the world. TV Credits Include: BBC – The Darling Buds of May; STV – I Lovett, Hogmanay Show, Take the high road, Taggart; YTV – Mr Majeka; SYT TV – Carmen. Before joining the MGA team, Jill lived in Norway teaching at a Music, Dance, Drama performing arts school for ten years. Before joining the MGA team, Jill lived in Norway teaching at a Music, Dance, Drama performing arts school for 10 years. Adam is a Glasgow based dancer who specialises in hip hop as well as having knowledge and experience within many other styles. His journey began when he was featured on the live semi finals of Sky 1’s Got To Dance back in 2011, originally as a soloist but soon pairing with another competitor. This experience motivated and propelled him into learning as much about dance as he could. Studying in Glasgow at Reid Kerr for three years and achieving HND in dance and stage, he also trained with the pioneers of Hip Hop Dance, Elite Force Crew, both in Glasgow and New York, spending three months attending classes at Broadway Dance Centre. He then moved to London to continue further his studies and enrolled at London Studio Centre. Due to a road traffic accident Adam was then left with no choice but to return home and recover. Upon his recovery, he auditioned for Work at Ferrari World Abu Dhabi and successfully left home to work away for another year in Dubai. During his studies Adam has performed professionally in theatre, commercial, and corporate events. Some of which include, Commonwealth Ceremonies (2012 to 2014), BBC & Blue Peter (2012), Sky 1 Broadband (2012), Miss Scotland Awards Ceremony Soloist (2011), Pavilion Theatre Glasgow (2011/2012 – 2012/2013), Ferrari World Abu Dhabi (2015/2016), Dubai Arts Festival (2015), Burtons Men’s Summer Fashion Release (2015). As well as performing on a variety of platforms he has taught all over the uk and aims to add to his list by teaching worldwide. Some places include, Glasgow, Edinburgh, Inverness, Dundee, Manchester, Birmingham, Leeds, London, Budapest, Abu Dhabi, Dubai. On top of performing and teaching Adam is also a member of Goblynz who are Scottish hip hop and street dance champions. He also participates in battles and events up and down the country and continues to explore the methods, techniques, and understandings of dancing as a form of self-expression. Very keen to be onboard with The MGA Academy of Performing Arts, he seeks to inspire and motivate all students to discover their inner artist and creative. Alex trained in all styles of dance from a young age at Julie-Sianne Theatre Arts and the RAD, before moving on to train professionally at Laine Theatre Arts, graduating with a national diploma in Dance (TRINITY, London). Since graduating in 2010 Alex has danced all over the world and in theatres across the UK. Professional credits include: Dance captain, Musical Starnights (Best of Musicals, European Tour); Palladium Magic (London Palladium); Snow White (Regent Theatre, Stoke-on-Trent); An Evening of Laughter with Ken Dodd and Friends (London Palladium); Dance captain on MV Ventura, Arcadia, Aurora and Oceana for Headliners Theatre Company, P&O Cruises; Variety Club Ball (Dorchester Hotel, London); Cinderella and Aladdin (New Victoria Theatre, Woking); Choreographer for Sleeping Beauty (Princess Theatre, Torquay); Various performances for Pineapple Dance Studios and New Generation Ballet Company, London. After having worked professionally in the industry for the last seven years, Alex is delighted to join the team at The MGA Academy of Performing Arts. John has worked all over the world including UK, Europe, China and Los Angeles. He has also spent many years at sea working for Crystal Cruises, Belinda King, QDOS Entertainment and Cunard Line as a Company Manager and Dance Captain. Most recently John has been working as assistant to choreographer Alan Harding for QDOS Entertainment. All or Nothing are Scotland’s leading aerial dance company. Based in Edinburgh they have been blending breathtaking aerial acrobatics with dance, theatre and contemporary circus since 2006. The company’s creative work has seen them take on everything from large-scale outdoor spectacle to small scale theatre. They have hung from boats, abseiled down buildings and flown through trees at the Enchanted Forest. In 2015 they will be touring their new work for theatre, Three’s A Crowd. All or Nothing create greater opportunities to experience aerial dance and theatre, running classes, workshops and training programmes, spanning both the professional and community sectors across Scotland. The training at MGA is delivered by an experienced team of aerialists and performers including Andrew Green, Jennifer Paterson, Sharisse Tindell and Marie Williamson. Mark was born and raised in the North East of Scotland, where his passion for performing and dance began. Started his training at the Edinburgh’s Telford College, Mark then continued on to London Studio Centre to finish his dance training. He has performed all over the world from Paris, Tokyo, Florida, Australia, Europe and the UK. He recently was seen on HMT stage as part of QDOS Pantomines as one of the dancers and cover Captain Hook and has been part of the Qdos family for over 4 years now. He was able to play the role of Prince Charming a few years ago in Cinderella . He is currently working on projects for NTS, Make a wish, PAH8 LTD, Befriend A child and many other corporate and professional events. At this moment in time Mark is teaching jazz, Musical theatre, singing, contemporary for both youths and adults at The MGA Academy stage Acadamies, Creative Stage the Aberdeen academy of dance, Scottish youth theatre and a few theatre groups around Scotland. He also runs his own classes for youths all over Scotland and has a vast experience in teaching both adult and kids. Curry in Paris, William Forsyth in Australia and was Dance Captain on the “Best of the Musicals” Germany Tour. TV and film work include Braveheart, Vodafone, Corona, Bacardi, D2 Clothing, Asda, Barclays Bank and a few music videos. Mark teaches various styles of dance from musical theatre, jazz, contemporary, hip hop, ballroom and many more at various locations in and around Scotland and the rest of the UK. Molly trained at The Royal Conservatoire of Scotland (formerly RSAMD) and has been an actor for over twenty years. During this time she has received a commendation at the Ian Charleson/National Theatre Awards (for Electra), was nominated for a Stage Award for Acting Excellence (for her role in Moving Objects) and was nominated for a Best Actress CATS award (One day all this will come to nothing). Her theatre work includes stints at The National Theatre of Scotland, The Traverse, The Royal Lyceum, Dundee Rep, Perth Rep, The Citizen’s and the Royal Court as well as many touring companies. Film and television credits include: Rebus, Taggart, Holby City, A Mug’s Game, Psychos, Takin’ over the Asylum, Rab C. Nesbitt, Lovesick, River City, The Bill, Ratcatcher, Strathblair, The Ferguson Theory, Stella Does Tricks, Afterlife and Karmic Mothers. She has also performed in numerous radio plays for BBC Radio 4. Molly was one of the Traverse Fifty writers. She received a New Playwright award from The Playwright’s Studio, Scotland in 2014. She has had rehearsed readings of her short plays Legacy and Roads of Grace. Her translation into Scots of Michel Tremblay’s Thérèse and Pierrette and the Wee Hanging Angel was presented by Stellar Quines as part of their Rehearsal Room. Her play Mother Ease was performed at the Traverse during the Edinburgh Festival. Molly was Associate Director on 13 Sunken Years, a co-production between Stellar Quines and Lung Ha Theatre Companies. She directed the first rehearsed reading of her translation of Thérèse and Pierrette and the Wee Hanging Angel at the Traverse and has directed Five Kinds of Silence for Beyond Broadway Productions. Molly is also a fully qualified secondary school teacher. Martyn Dempsey is an Actor, Writer, Theatre Maker and Lecturer based in Edinburgh. As an actor Martyn has worked with companies across the UK including Les Enfants Terribles, Hull Truck, Derby Theatre, Gala Theatre, Chipping Norton Theatre, Greyscale, Gameshow, Supporting Wall, SCAMP Theatre, Mischief La Bas, Hopscotch Theatre, Tall Stories, Nabokov, Mansfield Palace Theatre, Magpie Puppet Company, Infinite Jest, Old Saw, Finborough Theatre, Scottish Opera, Young Vic and many more. Over the years Martyn has been involved in devising a range of productions which have toured both nationally and internationally to critical acclaim. Martyn has regularly specialised in actor-musician work, new writing, devised performance, clowning, and children’s theatre. As a writer Martyn’s work has been performed at venues including Theatre 503, Greenwich Theatre, Tron Theatre, Cambridge Junction and his play The Girl with the Imagination was shortlisted for the Verity Bargate Award. Recent writing work includes InElsWhEre, commissioned as part of Tamfest at The Gaiety Theatre in October 2016 with support from Toonspeak, The Tom McGrath Trust and The Gaiety Theatre, and Epistle Tae Rab, which was written and developed with 3rd Year Acting Students at The MGA Academy and staged at The Ghille Dhu in January 2018. Over the next year he has been selected for a year long development opportunity with Mercury Musical Development and Musical Theatre Network hosted at the National Theatre of Scotland. As a lecturer, outreach practitioner, and facilitator Martyn has worked regularly delivering workshops and specialist courses for a wide range of organisations including MGA Academy, Royal Conservatoire Scotland, Old Vic New Voices, Almeida Theatre, Impact Arts, National Youth Theatre, Shakespeare Schools Festival, Scottish Youth Theatre, and East 15 Acting School. Martyn is also currently in his 2nd year of study for the MEd in Learning and Teaching in the Performing Arts at the Royal Conservatoire of Scotland. Having an MA in Voice from the Royal Birmingham Conservatoire, Olivia’s work aims to enable voice users to have a safe, reliable and free instrument. Olivia is currently training to be a Designated Linklater Tutor, which is her main influence when teaching Voice, this covers the fundamentals of voice work, such as; breath through to text as well as accent coaching. When teaching Singing, the primary language used is from the Estill model. She currently teaches Voice at MGA (Edinburgh) as well as freelance, with previous work at IAB (Barcelona), Arden School of Theatre and The Actors Foundation (Manchester). My teaching has a holistic style and approach. I am committed to the needs of each student/client/actor working sensitively and specifically with each person. John P. Arnold is a professional actor, singer and voiceover artist who hails from the United States of America. Since graduating from the University of Georgia with a Bachelors of Arts, he has continued his professional training at The Royal National Theatre, London; Advanced Scene Study – Peter Kelly Studios, Boston; Acting and Stage Combat – Cultural Arts Studio, City Lights Theatre Company, Savannah, GA; Advanced on Camera Acting – Tighe Doyle Casting Agency, Boston; Voice Training – Paul Fisher Studios & Jeannie Deva Studios; Audition and Monologue Skills, Michael Shurtleff Technique – Speakeasy Stage Company, Boston. John has extensive theatre, film, television, commercial and voiceover credits in both the US and UK. Some of his UK credits include: The Citizens Theatre, Glasgow; The Traverse Theatre Company, Edinburgh; Bard in the Botanics, Glasgow; Taggart; River City; The Angel’s Share; CBBC’s Dani’s House and A Long, Long Crime Ago; BBC Four Radio Dramas, London and Scotland; and The Edinburgh Fringe Festival. He also has performed and written for ACTING UP of Edinburgh, which brings theatrical arts to the corporate world. John presently serves as guest artistic director for Indelible Arts and The Drama Mill theatre companies, where he writes, teaches, and directs. He is a recurring tutor at Screen Academy Scotland, Napier University and also teaches private students at Prora Studios in East Lothian. Tom is the owner of photography and video production company Twin City Pictures, working as a director and cinematographer across Scotland producing media for theatre shows and marketing. Twin City Pictures is also one of the leading providers of actor services: headshots, showreels, selftapes and private coaching. Tom trained at the Royal Conservatoire of Scotland, graduating with a Bachelor of Arts in Acting. Since graduating he has worked consistently for over a decade in theatre, film, television and commercials. Theatre credits include: Romeo and Juliet, Twelfth Night, Macbeth, Hamlet, Much Ado about Nothing, Comedy of Errors, Winter’s Tale, Mid Summer Night’s Dream, Henry IV, The Tempest, Merchant of Venice, Taming of the Shrew, As You Like It, This Fearful Country, Queen Margaret (for Bard in the Botanics); Coma (Arches); Romeo and Juliet (Erasmus Theatre Company); Jack and the Beanstalk, Snow White, Cinderella (The Byre Theatre); Jack and the Beanstalk, Beauty and the Beast (MA Productions); Aladdin (PACE); Mother Goose (MacRobert); Last of the Dragons (Manhattan Children’s Theatre). Film and Television credits include: Sunset Song (Terence Davies); Scrotal Recall (Elliot Hegarty); Meet Me on the Southbank (Adam Rolston); Joyeux Noel (Christian Carion); The Celebrity (Simon Whyte). Commercial work for Sony, Real Radio and Channel 4. Lynn has worked as an actor and acting teacher, writer and director, since she moved to Scotland from the USA over forty years ago. And as Scotland’s foremost American accent coach she has worked regularly at Piltochry Festival Theatre, The Royal Lyceum Edinburgh, Dundee Rep Theatre and Perth Theatre, and other companies around Scotland. She was a founder of Stellar Quines Theatre Company and directed its first production, Night Sky. For many years, Lynn was an assessor for the National Council for Drama Training and has been an adjudicator for the Scottish Community Drama Association. Lynn has taught acting to the likes of Ewan McGregor, Shirley Henderson, Dougray Scott, Kevin McKidd and Sharon Small and many others. After ten years as Head of Acting at Kirkcaldy College (now Fife College) and 15 years as Head of Acting at Queen Margaret University, Edinburgh, Lynn retired from full-time teaching to pursue her freelance career. Since then, she has directed and taught acting at Ohio Northern University and has been much in demand for acting and American accent workshops in Scotland, England and Wales with community and amateur companies, youth theatres, schools and professional theatres including The Citizens Theatre, The Royal Lyceum and PFT. Lynn has been accent coach for every American play at Pitlochry Festival Theatre since 1989, most recently Carousel in 2016 and High Society in 2017. In addition, she has worked regularly at The Royal Lyceum, most recently The Crucible and the series of Arthur Miller productions; Dundee Rep, Steel Magnolias; and Perth Theatre, most recently Death of a Salesman, Someone Who’ll Watch Over Me, Moonlight and Magnolias and The Female Version of The Odd Couple. Derek gained his BA in Acting, with distinction, at Queen Margaret University, in Edinburgh and then his Masters in Musical Theatre at the Royal Conservatoire of Scotland, Glasgow. For the past 18 years Derek has worked as an actor in theatre, tv and radio. He has had a varied career with theatre roles ranging from Sick Boy in Trainspotting at York Theatre Royal; to The Tin Man in the Wizard of Oz at the Citizen’s theatre; to a summer season in Rep at Pitlochry Festival theatre. Companies Derek has worked for include the Tron Theatre Company, the Citizen’s, Borderline, Magnetic North, Eden Court, Imagine, The Brunton Theatre, Scottish Opera For All, Qdos, the Byre Theatre, Perth Rep and York Theatre Royal. Television credits include: Still Game, Velvet Soup and Being Victor. As well as a performer, Derek is also a drama facilitator and tutor. He has taught across the spectrum from preschool children to adults in further education. He has worked in Further Education establishments and theatre schools throughout the country and is looking forward to bringing his knowledge and enthusiasm for theatre to the students at MGA. Neil Metcalfe read music at Edinburgh University (where he was Organ Scholar at the University Parish Church – Greyfriars Kirk), before training as a Répétiteur, Vocal Coach and Conductor in the Opera School of the Royal Scottish Academy of Music and Drama. Subsequently, after some time as Répétiteur/Music Staff at Scottish Opera, he pursued a freelance career in Australia, Germany, the United States and Northern Ireland. Neil currently works across a wide number of genres as a vocal coach, solo pianist, accompanist, continuo player and conductor, and is equally happy in Musical Theatre, Opera, Baroque music and as a solo/chamber and session musician. He has recorded for the BBC and on the Linn Records label (with Dunedin Consort – Scotland’s international award-winning Baroque ensemble with whom he was Concerts Director), has appeared as a Guest Artist on the Fred Olsen cruise line, and has performed with many diverse groups across a number of genres, including the Scottish Chamber Orchestra Chorus, Ludus Baroque, Consort of Voices, and the National Youth Choirs of Scotland. He regularly appears as an accompanist at Masterclasses and in cabaret, and as a Choral Animateur at Come & Sing events across the country. He has also appeared at both the Edinburgh International Festival and at the Edinburgh Fringe (in over 200 performances). As a conductor, recent engagements have included Verdi’s Macbeth and Bizet’s Carmen (Royal Lyceum Theatre, Edinburgh), and the British premiere of Ricci’s La Prigione di Edimburgo (Queen’s Hall, Edinburgh). As a pianist/Musical Director, recent engagements include the Scottish premiere of Adam Gwon’s Ordinary Days, Scottish tours of Jason Robert Brown’s The Last Five Years and Songs For A New World, and as MD/co-arranger of the world premiere of Steve Potters’ Farewell My Son. Neil also has a keen interest in music education, and as such has held posts as Director of Music in a number of independent schools (latterly at Strathallan School), in the FE sector (as Lecturer in Performance at Edinburgh College) and is Chairman of the Scottish Schools Orchestra. He currently holds the post of Head of Music at The MGA Academy of Performing Arts, and is Musical Director of The Maltings Theatre (Berwick-upon-Tweed), Greenroom Musical Theatre, Edinburgh Music Theatre Company and Edinburgh University Chorus. Gerard taught at Mountview Academy of Theatre Arts and also worked as Vocal Consultant for Paul Spyker Management. Over the years he has employed his services as a Vocal Coach for several Leading West End Artists including, Kerry Ellis, Louise Dearman, Matthew Rawle, Rufus Hound, Samantha Bond and Dean Collinson. He has effectively instructed and mentored through the rehabilitation of voice problems. Simon obtained a degree in music from the University of London where he specialised in orchestration and technical composition. He has composed and arranged music for a wide variety of productions which have toured the UK and worked as Musical Director with a number of companies throughout the country. As Head Of Music with MGA, he is involved with the teaching of Ensemble Singing, Integration (Acting Through Song) and performance project work. He has also worked extensively with large Youth Theatre groups in Scotland and England, including Live Nation and Scottish Youth Theatre. As half of the partnership JS Music Solutions, he also provides backing tracks and arrangements to MGA for use in their productions. Gillian is a graduate of Glasgow University where she attained an MA with Honours in Music and Drama. She has taught extensively in the Further Education Sector and spent 21 years as Curriculum Leader for Performing Arts at NCL (formerly Motherwell College), which has the accolade of being the first European Educational Affiliate with Estill International. Gillian was responsible for the writing and development of two unique BA Honours Degrees in Musical Theatre and Acting in collaboration with Northumbria University, with graduates now working successfully on both a national and international level. As a Certified Master Teacher and Scotland’s only Certified Course Instructor with Estill Voice International, Gillian set up her own company McLaren Scott Vocals in 2016. She is a successful private singing teacher, running regular courses and workshops and was a Vocal Coach on the Audition Tour for The Voice / Voice Kids 2017 with ITV. Gillian is also an accomplished Theatre Director and Musical Director with credits including Company at the Tron Theatre, Glasgow; We Will Rock You at the Motherwell Concert Hall; and the Scottish Student premieres of Children of Eden, Rent, Bare, The Boys in the Photograph, Bonnie & Clyde and Soho Cinders. After graduating from MGA Academy of Performing Arts in 2015, Tom moved to Barcelona to perform in Spring Awakening with IAB, before working with Peel Talent as a Swing Principal Singer aboard several of their ships. Upon deciding to change career path to the Creative side of the Industry, he directed Sweeney Todd and Les Miserables with Captivate Theatre in the Edinburgh Fringe 2017. He will be working with Captivate again this year, directing Rent with Gilded Balloon. He is thrilled to be returning to MGA, this time as Resident Creative. Tabitha trained as a Musical Theatre performer with a view always to move into Artist Management. Following a two year career as a professional performer, she returned to Edinburgh to work as an Agent’s Assistant with MGA’s Directors, Andrew Gowland and Murray Grant and fork as an intern for SEA Personal Management, in London. Tabitha was promoted to become a full-time Agent in 2013 and in 2017, Tabitha was then promoted to Agency Director standing alongside both Murray and Andrew. Tabitha is qualified in Business Administration, Digital Marketing and is currently working towards her Business Degree. She also lectures in Professional Development for Performers at The MGA Academy of Performing Arts where she also manages the growth of our Clients In Training. Tabitha is based between the MGA Management Edinburgh and London offices managing all clients alongside Acting Agent Juliet Cooke and Agency Assistant Stuart Gray. Seb was born in Germany but raised in South Wales. After reading music at London university he changed direction to study at RADA, winning the Robert Donat prize for classical acting on graduation. After 15 year of performing with major UK companies (including RSC and National Theatre), he became a director and teacher. Terry has a long background in community and educational theatre. She trained at the Workshop Theatre, University of Leeds under Professor Martin Banham and returned there for her M.A. in Theatre Arts. She has worked as actor and stage manager for many projects and her particular love of the out doors and Shakespeare led to a lengthy relationship with Abbey Shakespeare Players in West Wales. Among other roles she played Lady Macbeth, Katerina in Taming of the Shrew and Ariel in The Tempest. Alongside her acting and directing Terry was Head of Peforming Arts at a large comprehensive school in Leeds where she was fortunate in being able to work alongside many young people who developed a love and appreciation of theatre and who are going on to make a substantial mark in the profession. She has directed regularly with Musical Theatre and Acting students at MGA on stand-alone acting projects at the Church Hill, Pleasance and Roxy Theatres. Want to see everyone? Click here to view all our teaching staff in an alphabetical list!